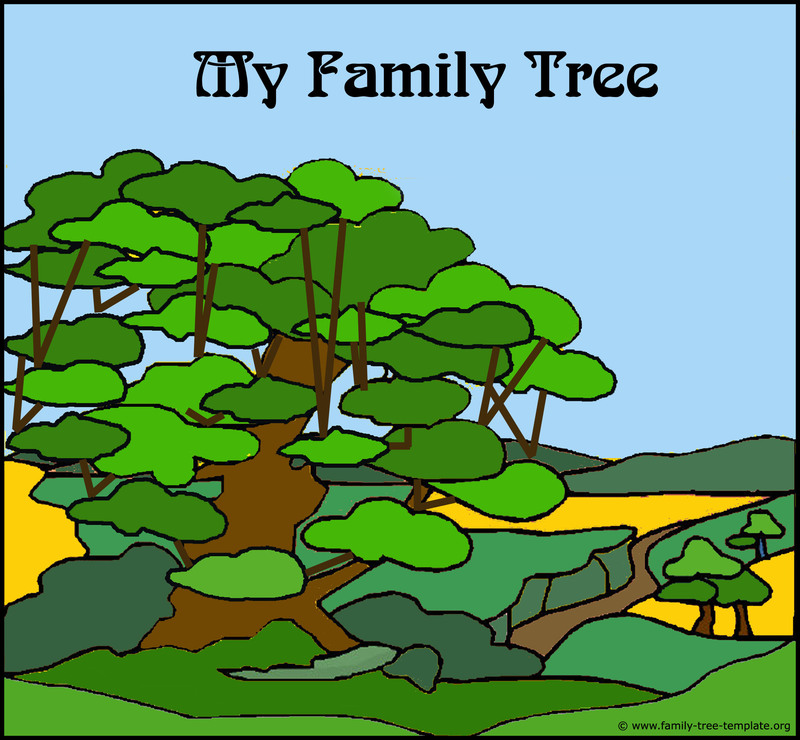 Using free family tree templates is a smart thing to do if you are going to put together your family’s tree, and free ancestry information will come in very handy as you create your tree using family tree designs. Genealogy for beginners can be a whole lot of fun, and the truth is that you may want to get into it yourself once you realize how fascinating it can be to learn about your family history. If you are interested in learning about your past, genealogy is one of the best things that you can do! Genealogy is “the study of families and the tracing of their history” according to Wikipedia, so it basically means that you are going to be studying up on your family and its history. While you may not be a professional genealogist, the truth is that genealogy for beginners will be just as fascinating – more so, really, as you will be making your first study into your family history. Spending time doing research into the history of your family is important, and you will find that you can learn a lot about yourself, your heritage, and where you really come from thanks to genealogy. If you’re going to making a family tree as a result of your studies into your family history, you will find that using free family tree templates will be one of the best ways to go. All of the free ancestry information that you can find online, in public libraries, and in the public records will have to be organized and listed somehow, and you will find that free templates will be the way to go. 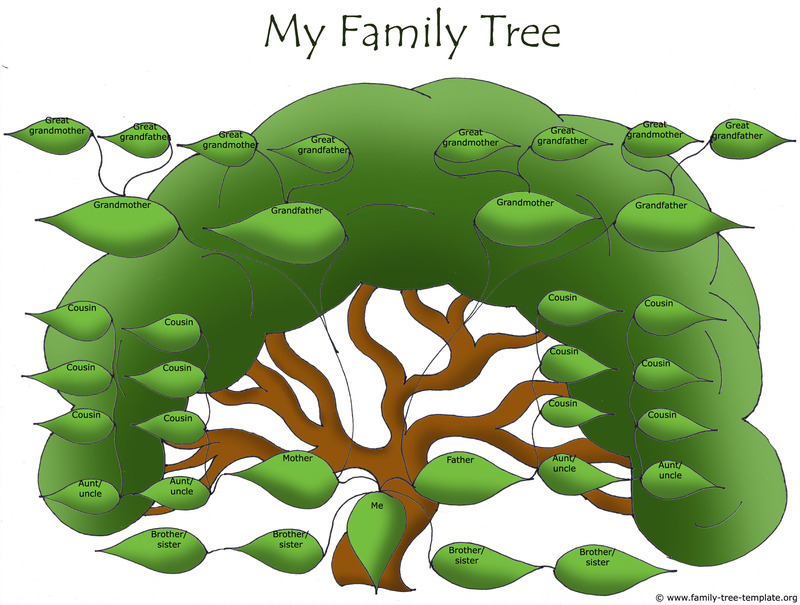 Here on this page and on this site you can download family trees to your computer and either print them out or fill them in on your computer. 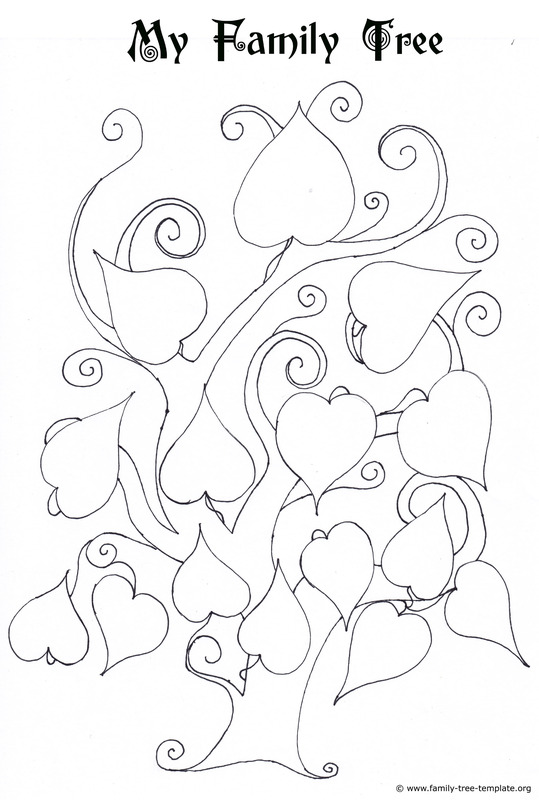 The templates will also be a more decorative way for you to make your family tree. Just putting the information in a clear and visible place is one way to do it, but it will be more fun if you can add some elements of design, color, and layout to make your family tree look nice. This is from a photo I took one sunny winter afternoon. 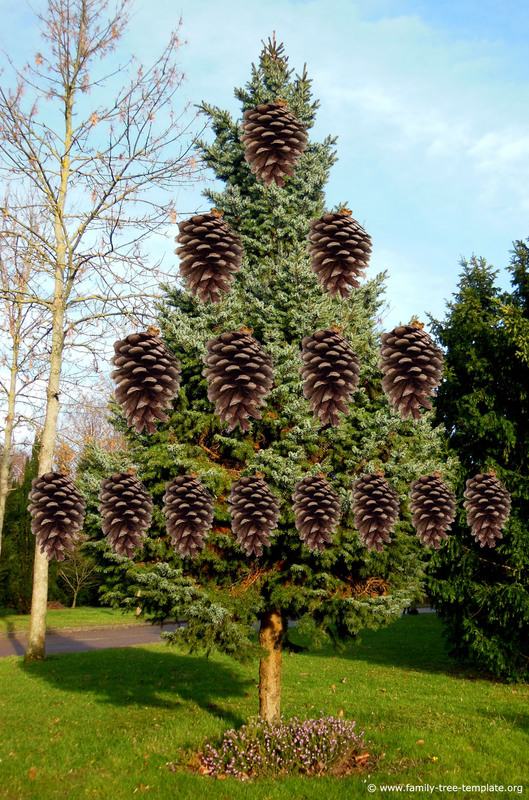 Here your kids can have fun gluing in pictures of their relatives onto the pine cones on the tree. The image size of this tree is 25 cm x 16,54 cm in 180 dpi. At first glance this family tree seems a bit strange. However, it is also a little bit more complicated than the one above this one. Not only does it go one more generation back – back to the great grandparents – your kids also have to be a little bit more alert when plotting in the names of their relatives. Make sure they follow the brown lines carefully to plot in the right great grandparent above the right grandparent. The image size is: 21,62 cm x 20,01 cm in 250 dpi. This artsy tree goes back to the great grandparents. Let your child start with himself/herself at the top and follow the logic downwards. Size of the image is 27 cm x 18,2 cm in 220 dpi. Ideal for printing. 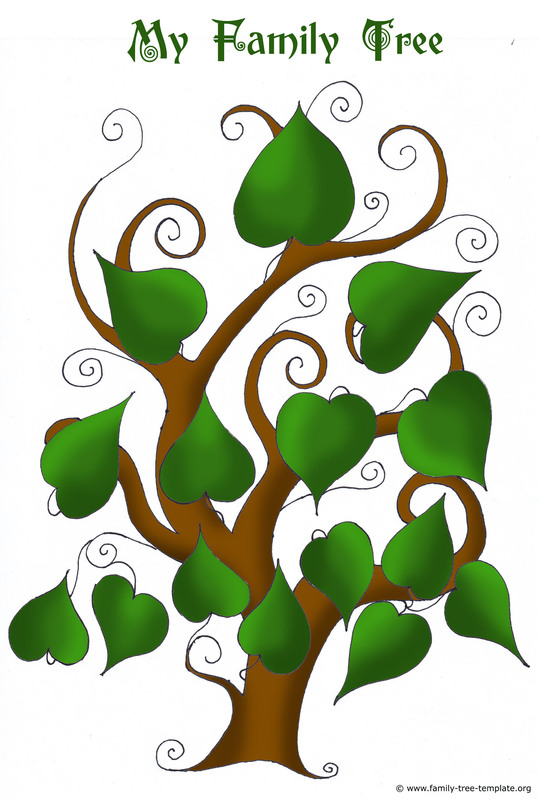 This tree is the exact same as the one above except for no colors thus making it ideal for kids to print and color. This chart has space for 5 generations thus making it ideal for the older child. Size of the image is 27 cm x 19,58 cm in 240 dpi. This tree is great for the large family as there is also space to fill in siblings, aunts, uncles and cousins. Image size is 27 cm x 20,42 cm in 250 dpi. This tree also allows you to go relatively far back in your family history all the way back to your great great grandparents. You can choose to merely write names in the boxes or maybe glue in some photos. Image size is 24 cm x 17,71 cm in 205 dpi. It’s important that you put in the information that you are gathering correctly, as that is the way to be certain that you are making the family tree chart clear and easily legible. If you are going to share the chart with others or pass it down to your kids, it has to be easy to understand and as accurate as possible. If your handwriting is hard to read, you may want to consider printing out tags or just filling in all of the information on the computer in order to print it all out. It will be much easier to read this way, which can save you a lot of headaches and trouble. It’s important that you add people correctly, as those people will be one more piece of the puzzle that you will add to your chart. You already know your parent’s names and your names, and you can go ahead and add them to the chart first. Make sure to add the date of their birth clearly beneath their name, and fill out their name correctly – first name, middle name, and surname. Always write the surname in CAPITAL LETTERS, as that will make the information as clearly visible as possible. Once you have the names of your parents, you can go on to add their parents, grandparents, and so on. It’s important that you put women’s names on the tree correctly. While your mother will have taken on your father’s name when they got married, for your family tree you will need to add just her maiden name. For example, if your mother’s name is currently Mary Williams but her maiden name is Mary Karp, then write her name on the chart as Mary KARP. If you can’t find out the maiden name of a woman, then leave a blank parenthesis between her middle name and the surname she took on when she was married – i.e. Mary () WILLIAMS. Nicknames are something that are very popular, and many people were known by nicknames rather than by their real name. If someone was named Andrew, chances are he was called Andy his whole life simply because he preferred that name. If you have found that one of your ancestors had a nickname, then you can introduce it between their middle name and their surname. For example, using the Andrew/Andy example above, the name you would input into the box would be “Andrew ‘Andy’ FARMER”. This will ensure that the nickname is clearly visible and connected to the surname. These tips can help you to input the information as correctly as possible, and will make it easier for you to make the chart as easily legible as you can. If you make the chart clear, you will find that it will be a whole lot easier to use – both for you and for those who you share the chart with. There are many different computer programs that you can use to make your family tree, and you may find that there are too many types of software to choose from. If you are going to look for a family tree creator program to help you both do your research and make the family tree, it’s important that you know what to look for. Internet Access – It’s important that the program can access the internet and find information for you, rather than just being limited to a single database. This way you can compare the information the database to all of the information that is available on the many other websites that offer similar information. Easy Use – The goal of a program is that it makes your job easier, which is why you’re paying for it. The software should be very easy for you to use, and it should install without any hassle. Even if you are good with computers, an easy to install and run program is always going to be the better choice for you! Tutorials – Many of the programs that you will work with will allow you to customize, add, delete, and alter your family tree, but there are so many more things that most of these programs can do. However, if they don’t have tutorials, you will never really find out what you can do. A tutorial will make it easier for you to learn everything you need to know about the software. Compatibility – It’s important that the software allows you to work with all of the other devices at your disposal, such as your scanner and printer. The software should come with specific features that will enable you to access and use these devices, as that will save a lot of time. Also, the software should be compatible with all of the programs that you have on your computer, such as Adobe PDF Reader and Microsoft Office. Features – Your goal is to find a program that comes with all of the features that you will need, such as the ability to merge two trees together, find and replace information in the family tree, check the spelling of the names and information you have added, templates that you can work with, the option of being able to customize the settings, changing the location where the information is saved to your computer, and more. These features are designed to make the program easier for you to use the way you want to. Speed – You don’t want to spend hours waiting to access the databases just to find a single name, and the information should load as quickly as possible. Also, the information that you find in the databases should quickly be loaded into your family tree, so that you don’t have to spend hours waiting. These are a few things to look for in computer programs that will help you to create your family tree, and you will find that these things will make it a whole lot easier for you to make your tree as attractive and easy to work with as possible. If you prefer to use the computer for your research, these programs will be a good investment on your part. You would spend the money on gas and postage anyways if you did all the work in person, and you will end up saving money by using these programs. There are many great reasons to use free family tree templates to make your own ancestry chart, and you can gather a lot of free ancestry information online and from local sources. However, the truth is that the computer programs will just be a lot easier for you to use, so it’s a good idea to at least consider using the programs. Time Saving – It will be far faster for you to find the information that you want if you never have to leave your home, as you won’t have to spend any time sitting in traffic or waiting for some information. You can get online or use the software instantly, and the information will be available within minutes rather than hours. Quality Designs – If you are an artsy person, you can make and decorate your own family tree easily. If, however, you have limited artistic skills, your handmade family tree may not look as good. 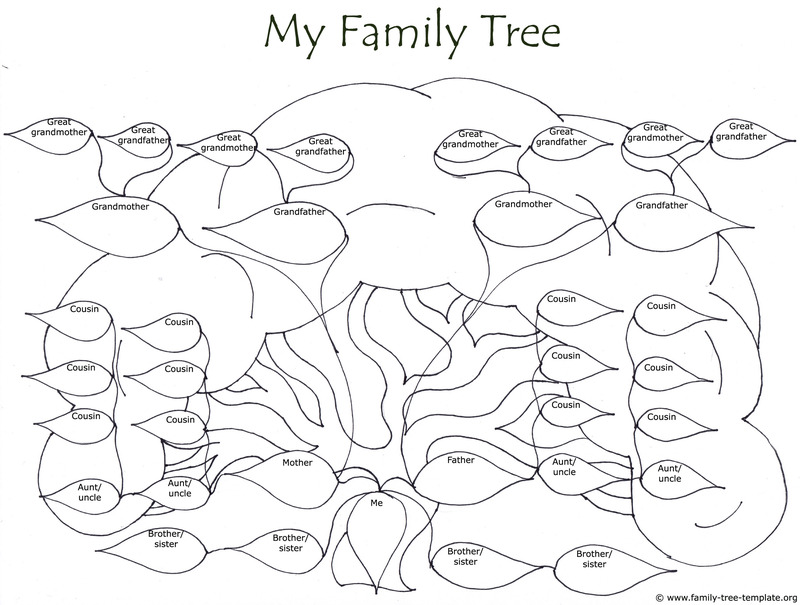 Thanks to the software, you can get a very nice design for your family tree – a design that will look good. You don’t even need to try and copy the designs, as you can just print them out and fill them in yourself quickly and easily. Custom Charts – The best thing about using programs to help you make your family charts is that you can customize them and make them however you want. 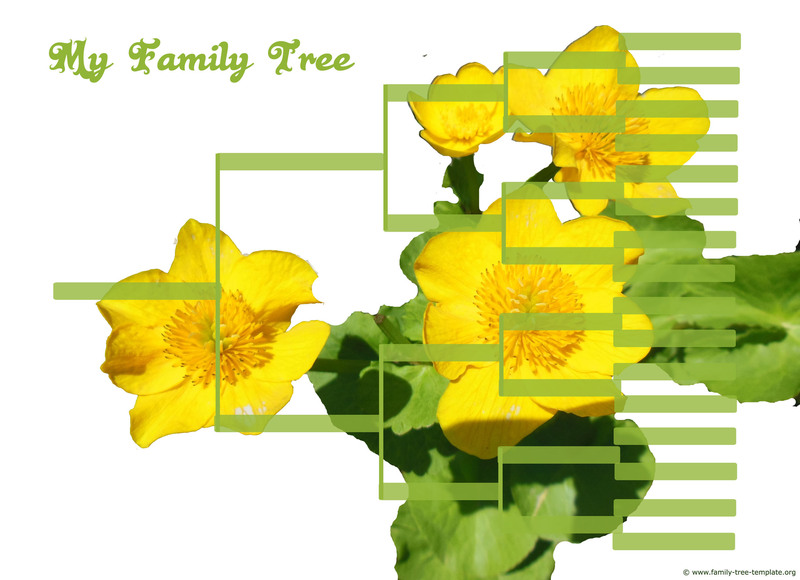 Sure, there are templates that you can use, but these free family tree templates will be like a guide that you can choose to follow – or not! You can customize the designs of the reports and charts that you make, meaning that they will be done as you want them! Broader Information – If you are going to do your research, the truth is that you will only be able to find so much information on your own. You may need to call in expert help, and these programs are designed by experts that know just how to do these genealogy for beginners searches. You will be able to access all of the information from around the country – and around the world – and it will be organized in a way that is easy to sift through. These are just a few of the reasons that you should consider the programs for your use, and you will find that they will be some of your best choices if you’re going to make your own family tree charts. Genealogy for beginners is a challenge, which is why the free family tree templates are there to help you. It will be so much easier if you have a computer program to organize all the free ancestry information that you get your hands on, and making your family tree chart will never have been easier! Don’t know what type of family tree you want to use? Take a look at the types on the A Printable Blank Family Tree page! Interested in tracing your family tree? There’s something you need to know, and the Blank Family Trees page will help you find out just what that is! Not sure of where to start looking for your family history? Check out the Family Tree Chart page for some good starting place! The Family Tree Forms page can give you some great ideas of how you can make your family tree easily and quickly! If you don’t know how to use templates to make your family tree, check out the Family Tree Charts page for some simple pointers! 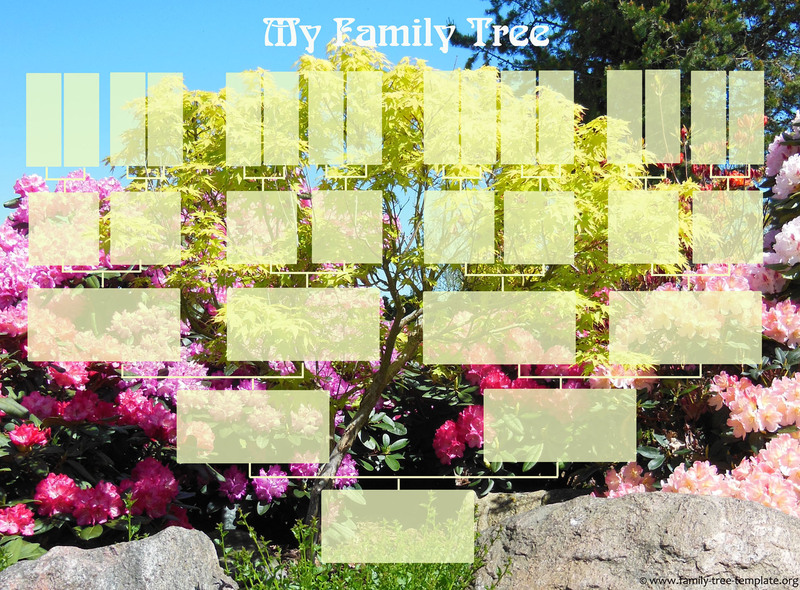 There are many tools that you can use for your family tree research, and the Free Family Tree Template page will help you learn about a few of them! You can learn how to make your family tree chart just the way you like it on the Make A Family Tree page!